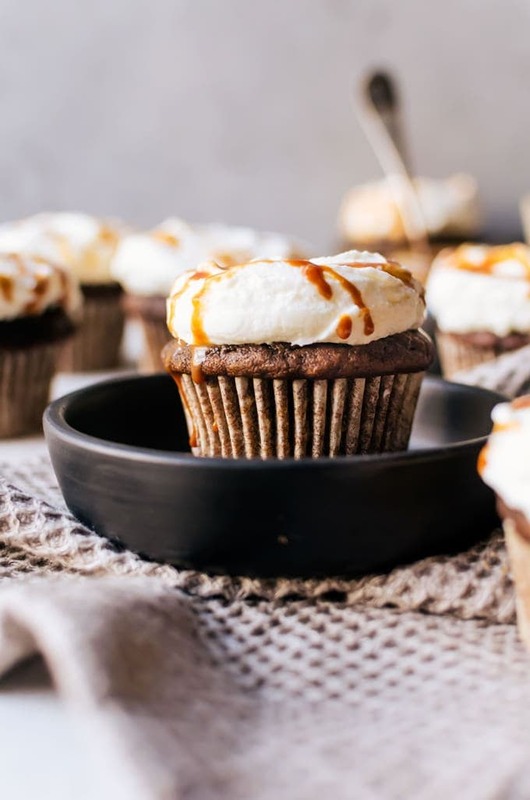 The perfect balance of espresso and pumpkin spice make these pumpkin spice latte cupcakes completely irresistible. Freaky for fall. It’s the phrase I love most when I first notice the weather begin to cool down. I count down the seconds until I can finally break out my boots and sweaters. I long for the time when I can stroll through the park tripping out over how beautiful the trees look in vibrant shades of red, yellow, and orange. 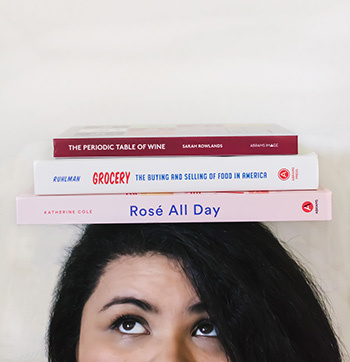 I not so patiently wait for the very first time all the fall-inspired food and drink are released. And yes, I am talking about the pumpkin spice latte. I admit that I am so into pumpkin spice. To an extent, I mean. Things like pumpkin spice granola, pumpkin chocolate chip cookies, or pumpkin shrubs are all amazing. But I draw the line at things like pumpkin spice candy corn (which are terrible already without the added potpourri strength of the spice), or dog treats. So making something like these pumpkin spice latte cupcakes were a long time coming. I took a favorite pumpkin cupcake I used to make and added a healthy dose of espresso so there is a sweet balance of warm fall spice and coffee kick. To top the cupcakes, I didn’t want to do a traditional frosting for these pumpkin spice latte cupcakes. Instead, I wanted to give it a more “latte” feel by using a whipped cream topping to which I added a touch of cream cheese for stability and added flavor. Then, of course, there is the caramel drizzle. 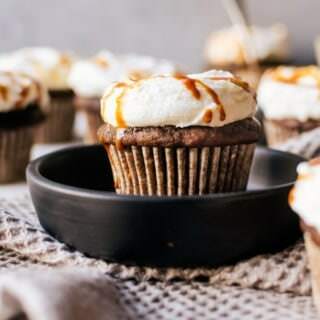 You can use any caramel you like, but for these particular cupcakes, I actually used cold brew caramel I had from Fat Toad Farm to amp up that coffee flavor just a touch more. These super moist pumpkin spice latte cupcakes are so good, you’ll have a hard time stopping at just one – promise! 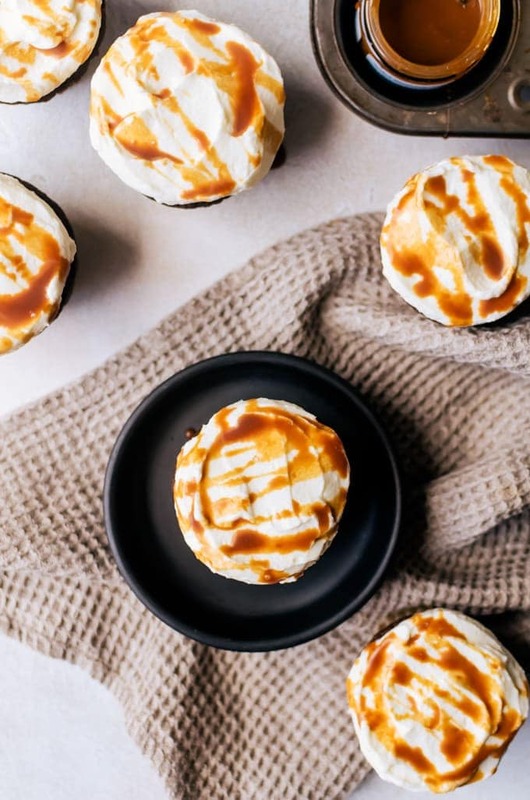 Super moist and light pumpkin spice latte cupcakes topped with whipped cream and caramel for an unforgettable dessert. 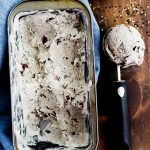 In a medium bowl, mix together the flour, baking powder, baking soda, salt, cinnamon, ginger, nutmeg, and allspice together. Set aside. In a mixer, add both sugars and butter together and beat until light and fluffy. Add the eggs and beat well for at least two minutes. Beat in the pumpkin and vanilla for an additional minute. In a small bowl, whisk together the espresso powder and milk together. Alternate between adding the flour mixture and the milk mixture into the mixer. Begin and end with the flour. Add the flour in three additions and the milk in two additions. Bake for about 15 - 18 minutes, or until a toothpick comes out clean. Remove the cupcakes and allow to cool in the pan for one minute before removing to cool completely on a wire rack. While the cupcakes are cooling, make the frosting. 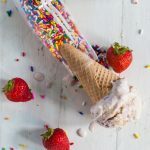 Beat the cream cheese using a whisk attachment until it is completely smooth. Slowly beat in the heavy cream and continue to beat until it reaches soft peaks. Add in the powdered sugar and vanilla and beat until it just about reaches stiff peaks. 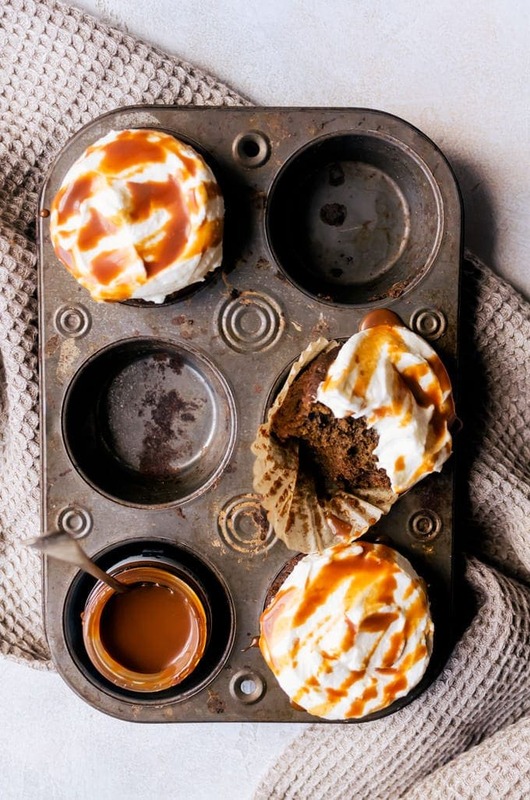 Top the cupcakes with the frosting and top with caramel drizzle. The cupcakes are best stored in an airtight container in a cool area for 24 hours, or in the refrigerator for up to three days. These are so yum. Bookmarked to try later. There could not possibly be another cupcake that feels more like fall! I wish I had one right now! These are totally going on the list of fall must-bake’s! These are beautiful! I cannot wait to try and I hope they are as pretty as yours!